You can achieve anything when you believe in yourself. A person with absolute confidence knows who they are, believes in themselves and their abilities, and will take risks even when the outcome is uncertain. A confident person has self-awareness. She knows her strengths and her weaknesses. She knows what she can do and can’t do and she is realistic about her capabilities. More importantly, she knows how to deal with failures. She realizes that failures are actually feedback and an opportunity to learn and grow. On the other hand, people who lack self-confidence have a fear of failure and it’s that fear that prevents them from taking risks and taking action. When you increase your confidence, you increase your success. When you increase your success, you increase your confidence. 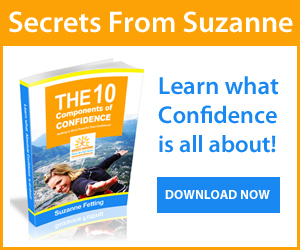 Confidence is powerful and greatly impacts all areas of our lives. Someone who stands tall and proud, carries themselves confidently and displays self-respect and is able to speak their mind will most certainly be successful. I believe self-confidence is more important than qualifications on paper, than having expensive designer goods, than having a nice car and a big bank account. I know people who are extremely rich and they are very insecure. I also know many people who have spent countless dollars on creating an artificial "attractive" appearance who are also insecure. We've all heard the saying: "To love someone else you have to first love yourself." Most people misinterpret that to mean you have be a narcissist to be in a relationship, which is not at all what that saying means. The truth is that someone who has self-love is someone who is confident and happy, which allows more energy to find joy with someone else. We’ve all had to deal with the emotionally exhausting jealous partner or friends. NO FUN AT ALL! Jealousy is insecurity. Jealousy is destructive. Jealousy destroys relationships. Self-love, on the other hand, builds strong relationships. The more self-confidence you have, the more likely you are to be yourself in a relationship. You won't be worried about trying to fit an ideal that you think your partner or friend wants. Instead you can be your authentic self, and think, speak and behave in a way that is natural and comfortable for you. Trying to maintain different personas in relationships will ultimately make you miserable, stressed out and disconnected to who you truly are. You won't be living the life you want, because no matter how hard you try, having artificial confidence will not last. Eventually, when the truth comes out, your partner will feel that you haven't been honest. When was the last time that you looked yourself square in the eyes in the mirror first thing in the morning and told yourself that you loved yourself? Spending precious energy, time and money, acquiring what I refer to as "artificial confidence" is such a waste. 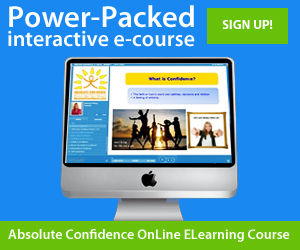 Why not spend that precious energy and time and money on building your self-confidence? Now that's energy, time and money well spent! If you are ready to experience the power of confidence please contact me today!